The Crops Division of the Ministry of Agriculture and Fisheries and Serendi Coco Samoa (S.C.S.) 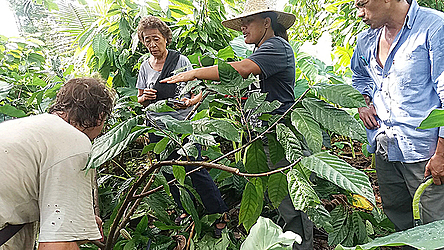 Ltd. jointly organized a hands-on workshop to demonstrate to Samoan farmers and to their respective staff the concept of “dynamic agroforestry” (D.A.F) in May. D.A.F. involves the designed planting of mixed tree and field crops, including coconuts, cocoa, fruit trees, timber trees, bananas, taro, ginger and turmeric. Of particular importance is the planting according to a tree’s strata in its natural environment: for example, cocoa trees like shade, coconut trees rather less. Many trees can handle different levels of shade. Thus, grouping trees and crops is best done “on a grid”. Compared to the planting of field crops and trees as monocrops, D.A.F. offers farmers much higher yields per hectare and improves product and income diversity. It also boosts biodiversity, reduces pest pressure, improves soil humus content and moisture retention. Finally, it counteracts global climate change by tying up, in vegetation and soil, much higher amounts of atmospheric CO2, a key component of climate change. A group of 30 certified organic farmers, M.A.F. and S.C.S. staff underwent two days of classroom training at MAF’s facilities in Nu’u where two experts in cocoa and forestry practitioners explained the principles and benefits of D.A.F. During the next two days, the entire group planted the first quarter hectare of mixed rows of trees and field crops and learned the rules of grid planting and covering cocoa seedlings with biomass. Dr. Joachim Milz, D.A.F. expert and founder of the research and consulting firm Ecotop Consult had organized the training in close cooperation with M.A.F. and Serendi Coco staff. 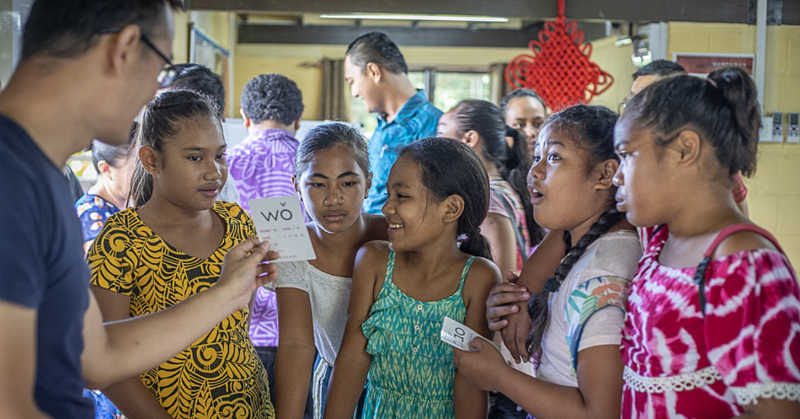 “In our many workshops conducted worldwide we have not seen the enthusiasm and participation by farmers and officials we experienced in Samoa,” he said. Farmers were eager to take the lessons learned “back home”. Implementation of the concept will be supported by M.A.F. staff and the agricultural field staff of Serendi Coco Samoa (S.C.S. 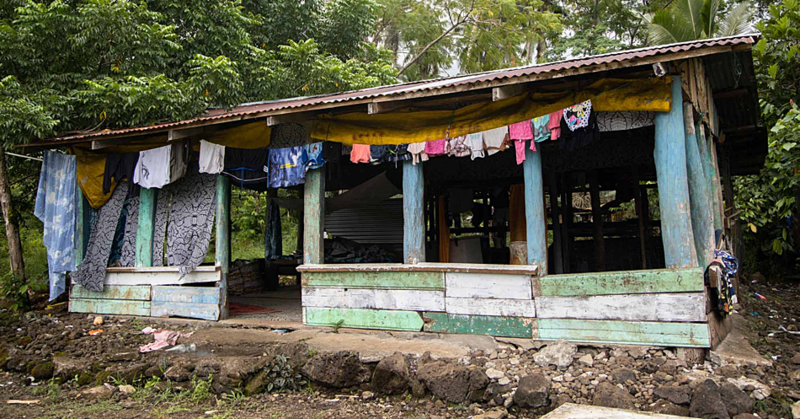 ), one of the largest producers of organic and fair trade coconut products in Samoa. S.C.S. is a joint venture between Pacific Oil, a Samoan producer of copra oil and Dr. Bronner’s, the best-selling brand of natural soaps in the U.S. Dr. Bronner’s purchases all its main raw materials from organic and fair trade projects worldwide, some of them under the company’s own ownership and management. It is committed to supporting smallholder farmers in improving the fertility and productivity of their land and thus help regenerate their communities. One reason Samoan farmers were particularly open to the D.A.F. concept is that traditionally Samoan agriculture has relied on mixed cropping. D.A.F. just adds elements that improve farm planning, tree maintenance and the production of biomass for more rapid build-up of fertile top soil. M.A.F. agrees that a sustainable farming system by planting recommended forest tree species mixing with selected crops to improve land use management and best cultivation system for the farming land that would improve livelihood and resilience. Ali’imalemanu Faleupolu a farmer from Neiafu stated that the training had given him great knowledge on the importance of understanding what the plants/trees requires. Fanene Samau Etuale Sefo, the Managing Director of S.C.S. stated that “our U.S. partners already have high demand for organic/fair trade coconut oil – currently more than 3,000 MT/year, a figure that is expected increase over the next few years. S.C.S. discussed the concept of dynamic agroforestry with M.A.F. who were very keen to implement it with local farmers. This led to a request to Dr. Milz and in September 2017, initial presentations were made to Savai’i farmers and M.A.F. 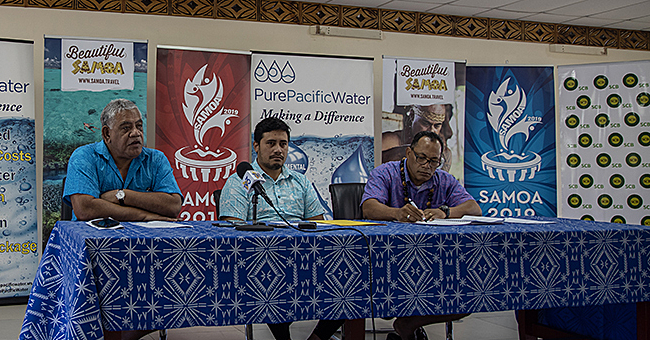 Both parties felt that mixed agroforestry is a very promising way for Samoa to replant, and the role of S.C.S is to facilitate this process. This was followed up by the recent visit by Dr. Milz in May, to implement the concept and conduct more hands on training. Following the training, Dr. Milz and S.C.S. field staff have set up several more demonstration plots and also trained farmers and staff in the pruning of cocoa. Dr Milz and his colleague are due back in September later this year, to continue training and to monitor progress of the farms that have adopted D.A.F.